Kell is a messenger/smuggler with the rare ability to travel between multiple Londons. Lila is a chaotic neutral thief with aspirations of being a pirate. These two unlikely companions are about to embark upon a dangerous, deadly adventure where the fates of multiple worlds are at stake. 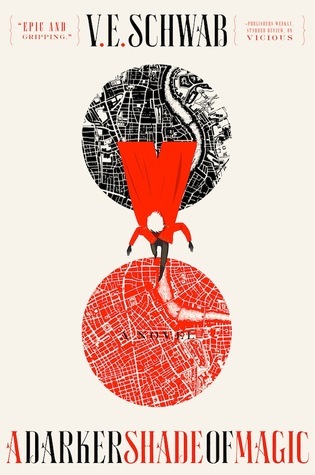 The first hundred pages of A Darker Shade of Magic are a slow burn, full of worldbuilding and character backstory. While it doesn’t feel like it’s building up to something — plot-wise, the inciting incident could happen much earlier — V.E. Schwab needs to establish the setting and the rules of the world and its element-based magic, and the short, punchy chapters keep the pace up. Schwab has a peculiar problem in that Kell has nine times the screen time as Lila in these initial pages, but Lila is so incredibly vibrant in her brief appearances that I became impatient for the two characters to meet so that she could become a larger part of the story. And when they do, they face a formidable antagonist, malicious villains, a terrifying adversary . . . there are a lot of bad people in this book. And Kell and Lila are two of them. Though Kell may not want to admit it, he is, like Lila, a taker of things, illegally carrying objects from one London to another and selling them to interested parties. But he has his reasons for doing so. Lila’s philosophy is that if a thing is worth having, it’s worth taking, and she practically steals the story out from underneath Kell, who, as a character, is way more interesting, but isn’t nearly as fun. Like a teenage Lyra Belacqua or Arya Stark, she’s rough, clever, and resilient. She’ll steal your heart and you won’t even notice it’s missing. Once Kell and Lila begin their odd-couple magical antics, the book really takes off, and the body count begins to rise. Deaths are merciless and brutal, which raises the tension but also quickly decreases the number of intriguing supporting characters; I lamented the loss of their story potential. Our protagonists aren’t even aware of the true body count, as Schwab supplements the story with additional POVs, including skin-crawlingly creepy scenes on the level of Stephen King or Neil Gaiman. Although she dips into several third-person voices, the book itself has a strong narrative voice that’s a bit wry, lending the more horrific events more power in their understatedness. It’s the energy and inventiveness of the prose that overcomes the fact that the multiple enemies are dispatched a bit too easily, and I felt like a lot of build-up fizzled out in the end. Still, the ending scenes are full of exciting magic and big character moments, making for a memorable resolution. Not having read The Best of All Possible Worlds, I found the world of The Galaxy Game intimidating in scope but entrancing in its detail. The prologue drops an immense amount of exposition, presumably as an introduction for a new reader like me, but then Karen Lord lets you fend for yourself as you scramble for context clues. It’s a world that feels lived in because the narrative assumes you live there. Lord deftly uses deceptively simple words to conjure up images (datacharm, mindship, aerolight), and her vivid descriptions convey so much (a cityscape is described as “slender, delicate, as if the spiky vertebrae of a saildragon had been stripped of meat and left to dry under the two suns”). Lord drops in offhand references to cloning and alternate timelines, suggesting an even greater depth to the world than what we see. And what we see is compelling enough: humans with psionic powers engaged in a game called Wallrunning, where psychically linked teams wear grav-bands and climb a tilting wall, like the coolest version of American Gladiators you could imagine. I loved Rafi, a teenage boy with a high level of psionic power, considered especially dangerous because of his father’s actions even though all he wants to do is play “snakes and ladders” (his name for Wallrunning). I wanted to reach into my Kindle and give him a hug. His best friend, Ntenman, serves as an entertaining foil, a wily scoundrel (one character calls him a “baby con man”), and their friend, Serendipity, displays more maturity and confidence in her psionic abilities than either of them. I wanted to see more of her. The three of them find themselves caught up in a time of great change, making the book a coming-of-age story set against the backdrop of galactic upheaval. Although I loved the world and the characters, I found the book somewhat frustrating. It jumps between several different third-person POVs, and in the early chapters, it’s unclear who will be the main focus, making the narrative feel disjointed. For no reason that I could discern, Ntenman has a first-person POV, and if any one character would get a first-person POV, I’d expect it to be Rafi. I did love Ntenman’s fun, energetic voice, full of verve, but it was consistently jarring. At no point could I concisely explain what was going on and why anyone was doing anything, not because characters were poorly written but because I, like Rafi, was being shuttled from plot point to plot point without being told why. 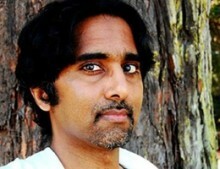 Rafi seems to have little agency throughout the narrative, but powerful people want him to help them. The actual story doesn’t start until two-thirds of the way through the novel, and the book has no real climax. It’s to Lord’s credit, however, that I remained engaged because I enjoyed the world and the characters so much I wanted to know where the story was going. 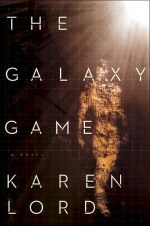 The Galaxy Game is dense, challenging science fiction that doesn’t go where you’d expect it to, juggling many characters and cultures in an epic story with very personal consequences. It’s ten years later, and Daniel Blackland, an osteomancer of incredible power, is on the run with a golem, Sam. Once Daniel gets wind of a plot to recreate a Pacific firedrake — a dragon — he vows to destroy it before it can ravage all of Los Angeles. Pacific Fire opens up the world, showing us more than the canal-filled city of Los Angeles, because this book isn’t a thrilling heist tale: It’s a thrilling adventure story. Van Eekhout plots the book like a sadist, gleefully throwing conflict after conflict at the characters. Things go wrong all the time. But he peppers in small victories and moments of levity to keep your spirits up, even when you’re staring at the page wondering why someone is dead, that’s not fair, you can’t do that. At times, dialogue or a bit of offhand narration made me laugh out loud, and then van Eekhout would end a scene with a brutal gut punch of a line. Although Sam takes center stage, Daniel is not completely out of the picture, and their stories dovetail to a devastating, unpredictable climax where I did not know what was going to happen and I did not know what I wanted to happen. 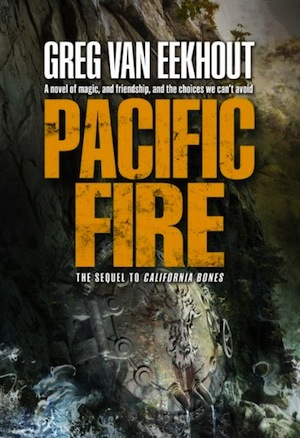 While it certainly helps to have read California Bones, Pacific Fire stands on its own as an exciting, engaging story, and though it doesn’t end on a cliffhanger, it soundly sets up the conclusion to the trilogy. A creative magic system, a fictional SoCal that actually contains Latinos, power struggles, friendship, family, a dash of romance, air travel, land travel, sea travel, someone from a boy band — this book has it all! 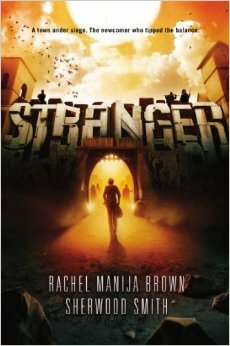 In a market saturated with young adult dystopias, Rachel Manija Brown and Sherwood Smith’s Stranger stands out by not portraying a post-apocalyptic future ruled by an oppressive government that throws children into a personality test-filled maze of games. In Stranger, the apocalypse happened, wiping out modern technology and forever changing the environment, now populated by vampire trees (that is what they are actually called in the book) and preternatural creatures like teleporting squirrels (who are as adorable as they sound). Plus certain individuals now develop Change powers, supernatural abilities ranging from telekinesis to controlling the weather. Society has rebuilt itself — not completely, not as a civilization, but in outposts and kingdoms, the landscape now resembling the Wild West. The walled frontier town of Las Anclas, with its fancy parties and popular restaurants, is a genuinely nice place to live and there is no dark secret behind it: These people have simply made a good life for themselves. It’s rare to see such an optimistic vision of the future; in fact, racism, sexism, homophobia, and other common prejudices have disappeared, replaced by bigotry toward the Changed. The townsfolk of Las Anclas — and there are many of them with names, which makes the town feel alive but can be hard to keep track of, since many are indistinguishable — are doing just fine until the titular stranger arrives. Besides the worldbuilding, the major strength of this book is absolutely its characters, a more diverse cast than I’ve seen in any young adult book. Ross Juarez (Latino) searches for artifacts in the most dangerous places and isn’t sure how to assimilate into society. Mia Lee (Korean) builds weapons and isn’t sure whether she will kiss a boy. Jennie Riley (black) teaches children and protects the town and isn’t sure if she can do both. Yuki Nakamura (Japanese) patrols with the Rangers and isn’t sure whether he will leave Las Anclas. Felicité Wolfe (Latina) is an awful, entitled, duplicitous human being and I love her. In a neat bit of typography, each character’s POV gets a different serif font, except for Ross, whose sans-serif font visually reminds the reader that he’s an outsider. Any one of these characters could end up someone’s favorite. Although the action-packed first chapter seems to herald a more adventurous story, Stranger focuses much more on character than plot, as every character has his or her own inner conflicts to struggle with. Brown and Smith strike a good balance between “Who will So-and-so take to the dance?” and “Does Ross’s presence in Las Anclas threaten the entire town’s safety?” Even though there isn’t a strong “What’s going to happen next? ?” vibe, I couldn’t stop reading because I liked the characters and the setting so much. (Warning: Do not read this book if you are hungry, because the sumptuous descriptions of food will only make things worse.) By the end of the book, characters have made choices and secrets have been revealed (though not to everyone), but this is an introduction. I anxiously wait to see where the series goes from here.